In this blog post we'll go over a Linux kernel privilege escalation vulnerability I discovered which enables arbitrary code execution within the kernel. The vulnerability affected all devices based on Qualcomm chipsets (that is, based on the "msm" kernel) since February 2012. I'd like to point out that I've responsibly disclosed this issue to Qualcomm, and they've been great as usual, and fixed the issue pretty quickly (see "Timeline" below). Those of you who are interested in the fix, should definitely check out the link above. 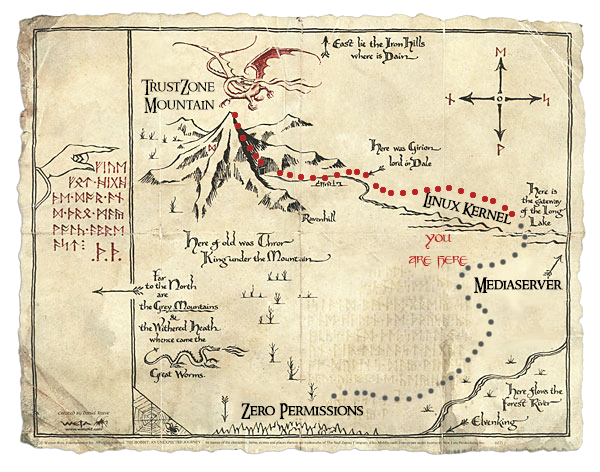 Continuing our journey of getting from zero permissions to TrustZone code execution; after recently completing the task of getting to TrustZone from the Linux kernel, we are now looking for a way to gain code execution within the Linux kernel. However, as you will see shortly, the vulnerability presented in this post requires some permissions to exploit, namely, it can be exploited from within a process called "mediaserver". This means that it still doesn't complete our journey, and so the next few blog posts will be dedicated to completing the exploit chain, by gaining code execution in mediaserver from zero permissions. Unfortunately, this list is rather short - actually, these drivers are all "generic" Android drivers, which are present on all devices (with the exception of "kgsl-3d0"), and have therefore been the subject of quite a lot of prior research. After spending a while looking at each of these drivers, it became apparent that a more effective strategy would be to cast a wider net by expanding the number of drivers to be researched, even if they require some permissions in order to interact with. Then, once a vulnerability is found, we would simply need one more vulnerability in order to get from zero permissions to TrustZone. One interesting candidate for research is the "qseecom" driver. For those of you who read the first blog post, we've already mentioned this driver before. This is the driver responsible for allowing Android code to interact with the TrustZone kernel, albeit using only a well defined set of commands. So why is this driver interesting? For starters, it ties in well with the previous blog posts, and everybody loves continuity :) That aside, this driver has quite a large and fairly complicated implementation, which, following the previous posts, we are sufficiently qualified to understand and follow. Most importantly, taking a look at the permissions needed to interact with the driver, reveals that we must either be running with the "system" user-ID which is a very high requirement, or we must belong to the group called "drmrpc". But that's not all! Within the Linux kernel, each process has a flag named "dumpable", which controls whether or not the process can be attached to using ptrace. Whenever a process changes its permissions by executing "setuid" or "setgid", the flag is automatically cleared by the kernel to indicate that the process cannot be attached to. While the "surfaceflinger" and "drmserver" processes modify their user-IDs during runtime, and by doing so protect themselves from foreign "ptrace" attachments, the "mediaserver" and "keystore" processes do not. This is interesting since attaching to a process via "ptrace" allows full control of the process's memory, and therefore enables code execution within that process. As a result, any process running with the same user-ID as one of these two processes can take control of them and by doing so, may access the "qseecom" driver. Gain execution within one of "mediaserver", "drmserver", "mediaserver" or "keystore"
Before we start inspecting the driver's code, we should first recall the (mis)trust relationship between user-space and kernel-space. Since drivers deal with user input, they must take extreme caution to never trust user supplied data, and always verify it extensively - all arguments passed in by the user should be considered by the kernel as "tainted". While this may sound obvious, it's a really important issue that is overlooked often times by kernel developers. In order to stop kernel developers from making these kinds of mistakes, some mechanisms were introduced into the kernel's code which help the compiler detect and prevent such attempts. This is facilitated by marking variables which point to memory within the user's virtual address space as such, by using the "__user" macro. When expanded, this macro marks the variable with the "noderef" attribute. The attribute is used to tag the pointer as one that cannot be directly dereferenced. If an attempt is made to directly dereference a pointer marked as such, the compiler will simply produce an error and refuse to compile the code. Instead, whenever the kernel wishes to either read from or write to the pointer's location, it must do so using specially crafted kernel functions which make sure that the location pointed to actually resides within the user's address space (and not within any memory address belonging to the kernel). Drivers come in many shapes and sizes; and can be interacted with by using quite a wide variety of functions, each of which with its unique pitfalls and common mistakes. When character devices are registered within the kernel, they must provide a structure containing pointers to the device's implementation for each of the aforementioned functions, determining how it interacts with the system. In the case of the QSEECOM driver, the only "interesting" function implemented is the "ioctl" function call. Generally, character devices can be interacted with just as any other file on the system - they can be opened, read from, written to, etc. However, when an operation doesn't neatly map into one of the "normal" file operations, it can be implemented within a special function called "IOCTL" (Input/Output Control). The complete list of supported "commands" can be deduced by reading the source code of the IOCTL's implementation. In order to allow the user to send large requests to or receive large responses from the TrustZone kernel, the QSEECOM driver exposes a IOCTL command which enables the user to set up his "memory parameters". In order to share a large chunk of memory with the kernel, the user first allocates a contiguous physical chunk of memory by using the "ion" driver. We won't go into detail about the "ion" driver, but here's the gist of it - it is an Android driver which is used to allocate contiguous physical memory and expose it to the user by means of a file descriptor. After receiving a file descriptor, the user may then map it to any chosen virtual address, then use it as he pleases. This mechanism is advantageous as a means of sharing memory since anyone in possession of the file descriptor may map it to any address within their own virtual address space, independently of one another. The "ion" driver also supports different kinds of pools from which memory can be allocated, and a wide variety of flags - for those interested, you can read much more about "ion" and how it works, here. The driver actually verifies that the whole range from "virt_sb_base" to "virt_sb_base + sb_len" is accessible to the user (and doesn't, for example, overlap with the kernel's memory). After going over the code for each of the different supported commands, one command in particular seemed to stick-out as a prime candidate for exploitation - QSEECOM_IOCTL_SEND_MODFD_CMD_REQ. This command is used in order to request the driver to send a command to TrustZone using user-provided buffers. As we know, any interaction of the kernel with user-provided data, let alone user-provided memory addresses, is potentially volatile. After some boilerplate code and internal housekeeping, the actual function in charge of handling this particular IOCTL command is called - "qseecom_send_modfd_command". The "cmd_req_buf" and "cmd_req_len" fields define the request buffer for the command to be sent, and similarly, "resp_buf" and "resp_len" define the response buffer to which the result should be written. Now stop! Do you notice anything fishy in the structure above? For starters, there are two pointers within this structure which are not marked as "tainted" in any way (not marked as "__user"), which means that the driver might mistakenly access them later on. First, the function makes sure that the request and response buffers are not NULL. Next, the function makes sure that both the request and response buffers are within the range of the shared buffer discussed earlier. Then, the function makes sure that the request buffer's length is larger than zero, and that both the request and the response size do not exceed the shared buffer's length. Lastly, for each file descriptor passed, the function validates that the command buffer offset does not exceed the length of the command buffer. Before even attempting to scale this wall of verifications, lets first see what's on the other side of it. This actually simply amounts to taking the offset from the given virtual address to the beginning of the user-space virtual address for the shared buffer, and adding it to the kernel-space virtual address for the shared buffer. This is because, as mentioned earlier, the kernel maps the ION buffer to a kernel-space virtual address which is unrelated to the user-space virtual address to which the user mapped the buffer. So before the kernel can interact with any pointer within the shared buffer, it must first convert the address to a virtual address within it's own address space. What comes next, however, is extremely interesting! The driver passes on the request and response buffers, which should now reside within kernel-space, to an internal function called "__qseecom_update_cmd_buf" - and therein lies the holy grail! 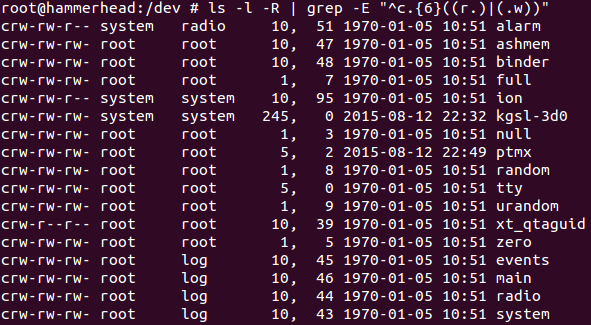 The function actually writes data to the converted kernel-space address of the request buffer. We'll expand more on the exact nature of the data written later on, but hopefully by now you're convinced if we are able to bypass the verifications above while still maintaining control of the final kernel-space address of the request buffer, we would achieve a kernel write primitive, which seems quite tempting. 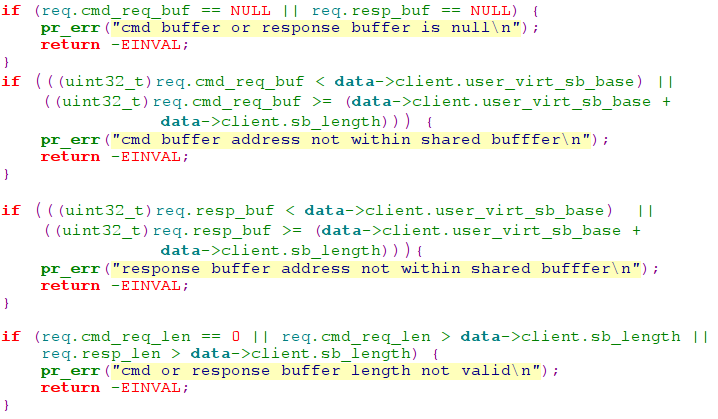 Also, the verifications above make sure that both the "cmd_req_buf" and "resp_buf" pointers are within the user-space virtual address range of the shared buffer. However, what would happen if we were to map a huge shared buffer - one so large that it cannot be contained within kernel space? Well, a safe assumption might be that when we'd attempt to set the memory parameters for this buffer, the request would fail, since the kernel will not be able to map the buffer to it's virtual address space. Luckily, though, the IOCTL with which the memory parameters are set only uses the user-provided buffer length in order to verify that the user-space range of the shared buffer is accessible by the user (see the access check above). However, when it actually maps the buffer to its own address-space, it does so by simply using the ION file descriptor, without verifying that the buffer's actual length equals the one provided by the user. This means we could allocate a small ION buffer, and pass it to QSEECOM while claiming it actually corresponds to a huge area. As long as the entire area lies within user-space and is write-accessible to the user, the driver will happily accept these parameters and store them for us. But is this feasible? After all, we can't really allocate such a huge chunk of memory within user-space - there's just not enough physical memory to satisfy such a request. What we could do, however, is reserve this memory area by using mmap. This means that until the data is actually written to, it is not allocated, and therefore we can freely map an area of any size for the duration of the validation performed above, then unmap it once the driver is satisfied that the area is indeed writeable. From now on, let's assume we map the fake shared buffer at the virtual address 0x10000000 and the mapping size is 0x80000000. Since the kernel believes the shared buffer is huge, this means that the "cmd_req_buf" may point to any address within that range, and in our case, any address within the range [0x10000000, 0x90000000]. It also means that the "cmd_buf_offset" can be as large as 0x80000000, which is the fake size of the shared buffer. Adding up two such huge numbers would doubtless cause an overflow in the calculation above, which means that the resulting address may not be within the kernel's shared buffer after all! As you can see in the calculation above, the location of the kernel's shared buffer is still unknown to us. This is because it is mapped during runtime, and this information is not exposed to the user in any way. However, this doesn't mean we can't find it on our own. Now, since we know the "sb_virt" address is actually within the kernel's heap, it must be within the kernel's memory range (that is, larger than 0xC0000000). This means that for values of "cmd_req_buf" that are larger than (0xFFFFFFFF - 0xD0000000), the calculation above would surely overflow, resulting in a low user-space address. This turns out to be really helpful. We can now allocate a sterile "dropzone" within the lower range of addresses in user-space, and fill it with a single known value. Then, after we trigger the driver's write primitive, using the parameters described above, we could inspect the dropzone and find out where it has been "disturbed" - that is, where has a value been changed. Since we know only a single overflow happened in the destination address calculation, this means that we can simply reverse the calculation (and add 0xFFFFFFFF + 1) to find the original address of "sb_virt". Meaning we can easily control the destination to which the primitive will write its data, by choosing the corresponding "wanted_offset" for each destination address. However, recall that previously, when we discovered the address of "sb_virt", we did so by detecting a modified DWORD at a preallocated "sterile" dropzone. This means that the actual value of this physical address is in fact known to us at this point as well. Moreover, all physical addresses corresponding to the "System RAM" on Qualcomm devices are actually "low" addresses, meaning, they are all definitely lower than the kernel's virtual base address (0xC0000000). With that in mind, all that's left for us is to overwrite a function pointer within the kernel with our write primitive. Since the DWORD written will correspond to an address which is within the user's virtual address space, we can simply allocate an executable code stub at that address, and redirect execution from that function stub to any other desired piece of code. Trigger the write primitive in order to overwrite a function pointer within "pppolac_proto_ops"
Shortly after the patch was issued and the vulnerability was fixed, I was alerted by a friend on mine to the fact that an exploit has been developed for the vulnerability and the exploit has been incorporated into a popular rooting kit (giefroot), in order to achieve kernel code execution. Luckily, the exploit for the vulnerability was quite poorly written (I've fully reverse engineered it), and so it didn't support all the range of vulnerable devices. Now that the issue has been fixed for a while, I feel that it's okay to share the full vulnerability writeup and exploit code, since all devices with kernels compiled after November 2014 should be patched. I've also made sure to use a single symbol within the exploit, to prevent widespread usage by script-kiddies (although this constraint can easily be removed by dynamically finding the pointer mentioned above during the exploit). I've written an exploit for this vulnerability, you can find it here. Building the exploit actually produces a shared library, which exports a function called "execute_in_kernel". You may use it to execute any given function within the context of the kernel. Play safe! This is truly great work. Thanks for the write-up! How did you find the address for pppolac_release (PPPOLAC_PROTO_OPS_RELEASE)? Thank you! Happy you enjoyed the post. @bedoblastic - the post is now up! As always great post! You would be an awesome college teacher. Can u give me a tip on how to find android processes within a specific group? For example in your post, "searching for the "drmrpc" group within all the processes on the system"
I am the developer of the exploit used by giefroot. I was actually looking at dumpstate / bugreport when I developed it to find an address dynamically but I didn't find anything useful. Anyway thanks a lot for this and the other article about bypassing kptr_restrict. This might come in handy (although they'll probably patch the first method). You're right by the way, my exploit is quite poorly written and that's also one of the reasons I didn't publish the source code, it's way too ugly. Second, just wanted you to know that I didn't mean to offend you in any way (and sorry if I did)! A friend of mine told me about the fact that the exploit was present in giefroot and it was a thrill for me to see. Don't worry, I'm not offended by the truth. I was already worried you might have stopped publishing articles, it's good to hear that's not true. I'm eagerly awaiting your new articles and hope you'll get some free time soon. Good work on finding the TZ vulnerabilities. Hopefully you'll find some time to post something about them. Are you also going to write something about the latest mediaserver and stagefright vulnerabilities? Hi! I'm a vulnerability researcher who recently decided to break into the world of android (for fun, not work). First, I want to say amazing work! What I love most about this field is the clever and ingenious exploitation techniques used to get code exec. You did not disappoint! As I am waiting for my android device to be shipped, I have been reading your blog. 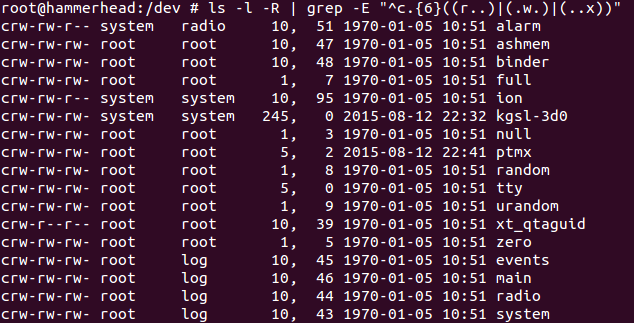 In this article, you post a picture of what appears to be file-system listings as root. Were these taken from the phone? Is it possible to have a serial terminal with the phone via USB? Or is this some kind of app / software that allows you to access the phone like a linux terminal? Thanks for sharing. Great websites! We too have a blog on YoWhatsApp Apk which is the best WhatsApp MOD app ever.